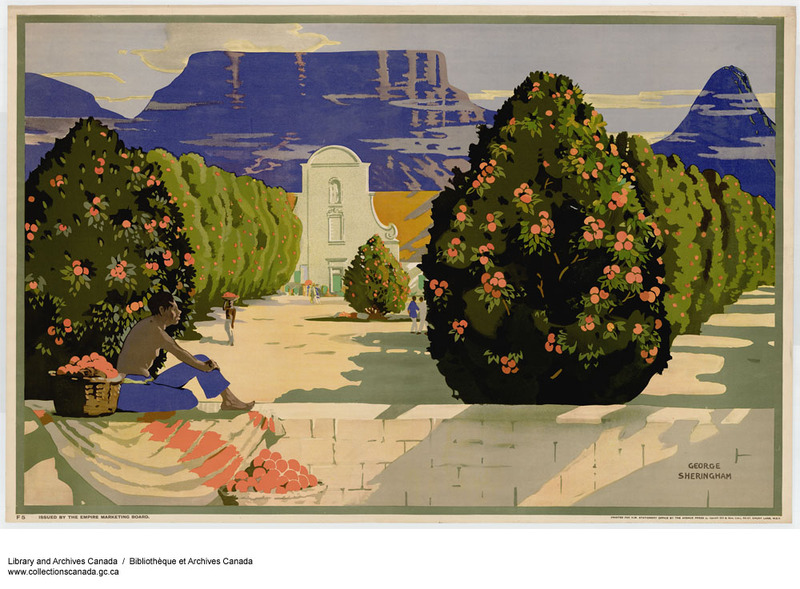 South African Oranges (Empire Marketing Board Poster), Library and Archives Canada. 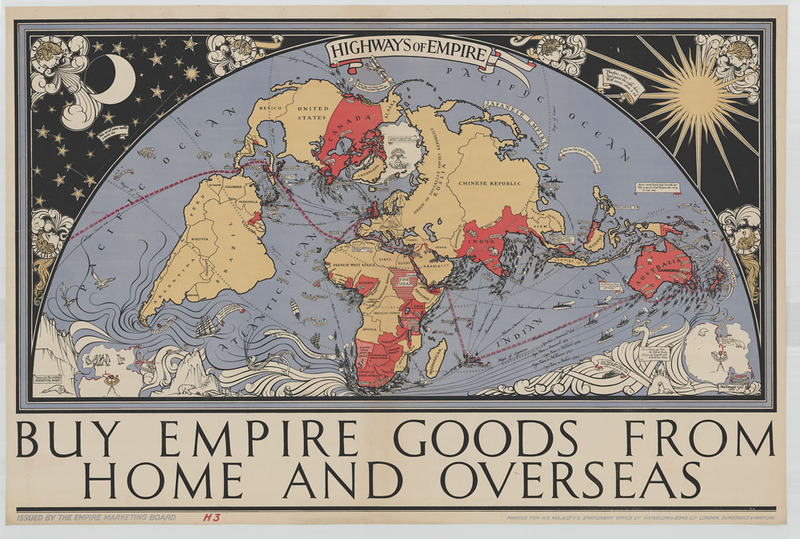 Interested in the historical intersection of trade, culture, and empire? 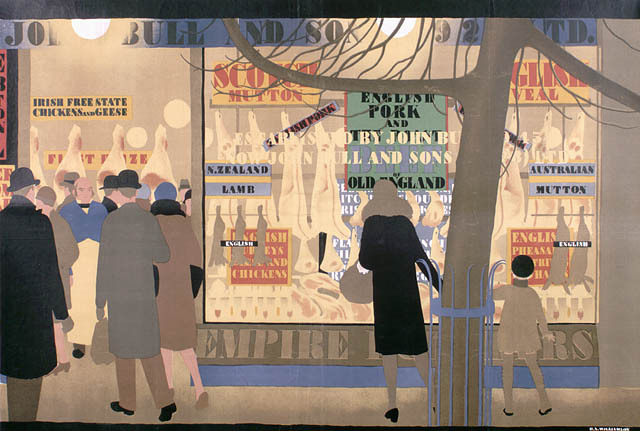 A new website, Imaginingmarkets.com, provides information on two AHRC projects which are being hosted by the University of Exeter’s History Department: ‘Imagining Markets: Conceptions of Europe, Empire/Commonwealth and China in Britain’s economic future since 1900’ (AHRC network, 2014-16) established by David Thackeray, Andrew Thompson and Richard Toye, and David Thackeray’s AHRC Research Leadership Fellowship ‘Backing Britain: Imagining a nation’s economic future since 1900’ (2014-15). Woman Shopping at John Bull and Sons (British Empire Marketing Board, 1928), Library and Archives Canada. 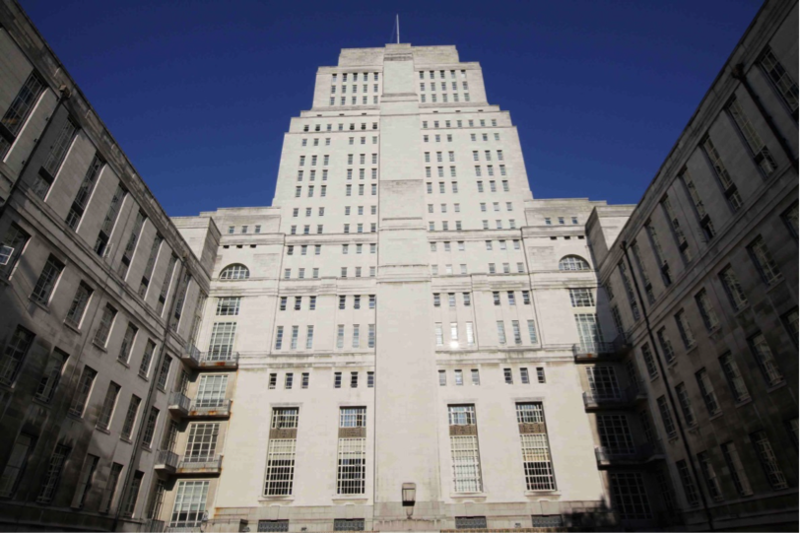 Both projects are united by an interest in connecting historical and contemporary ways of thinking about Britain’s future global economic orientation, and involve a range of activities staged with project partners from the fields of public policy and heritage. Readers can subscribe to get updates on the projects. There will also be a blog to discuss issues connected with the research themes.